Rattlesnake research presentation at Killbear Provincial Park. On Saturday June 10th, over 150 people came out to count the species in Killbear Provincial Park. 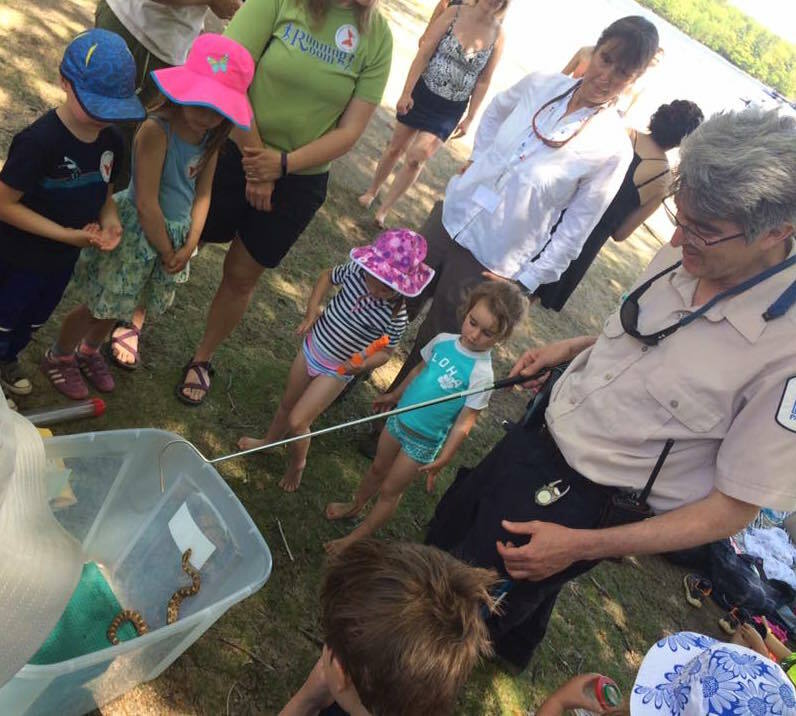 It was part of a “Bioblitz” where experts helped people to observe nature and learn about biodiversity. Fifteen different sessions were offered throughout the day, from early birding to late night owl prowls and moth identification. Other guided outings included reptiles, fish, plants and a benthic program for kids where they could catch and count critters in the water. Several hundred species were documented over the weekend, with 300 entered so far. The final tally is still out because experts are entering their data into the iNaturalist app from their observations collected on Sunday. The final data is open source and free to the public and will help Killbear Provincial Park in the future. 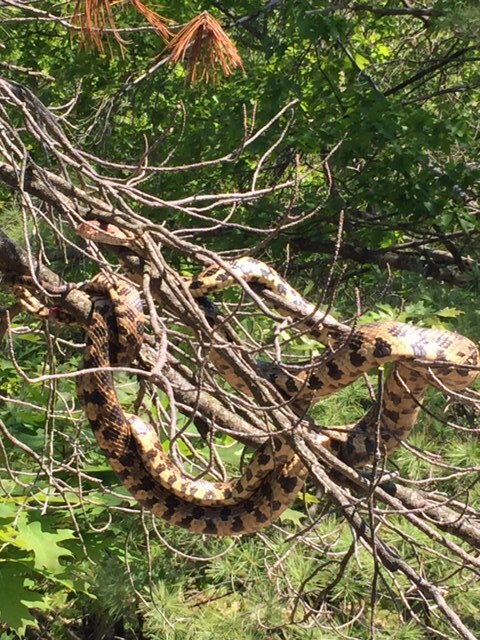 Although the reptile count started off slowly with Snapping turtles laying eggs on the side of the road, then an Eastern garter snake, a Midland painted turtle and a Northern water snake, by the end of the weekend five Massasauga rattlesnakes were spotted (and documented for research) and one boy climbing a tree at his campsite spotted two Eastern foxsnakes mating.